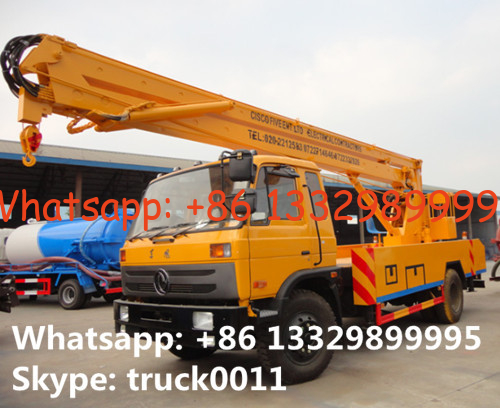 Chengli Special Automobile Co., Ltd. is the leading manufacturer and supplier of high altitude operation truck, aerial working platform, overhead working truck, , Aerial work platform lift, Aerial platform truck, truck mounted aerial platform, aerial work platform, hydraulic beam lifter, bucket truck, bucket boom truck, truck mounted aerial lift, telescopic platform truck and aerial working platform(truck mounted) in China. 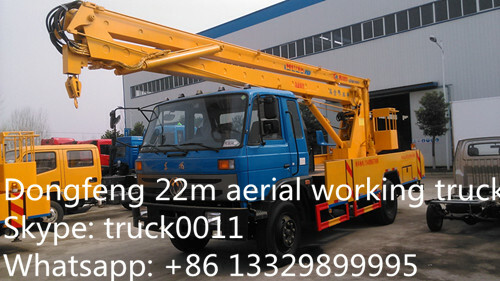 With many years’experience in supplying, Chengli Special Automobile Co., Ltd. could design and supply ISUZU aerial working platform, ISUZU telescopic overhead working truck, Dongfeng high altitude operation truck, JMC bucket truck, JAC truck mounted aerial lift, Foton Auman aerial working platform truck, IVECO Yuejin bucket truck, forland truck mounted aerial lift, etc. The truck crane can extend to 1200mm. 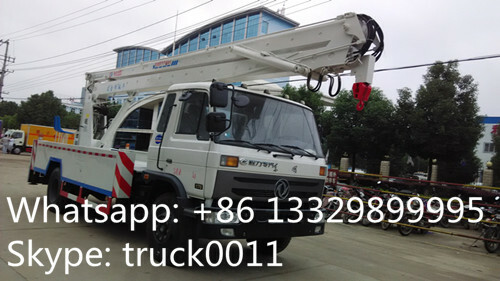 More pictures of hot sale dongfeng 153 190hp diesel overhead working platform truck manufactured by Chengli Special Automobile Co., Ltd. as below.